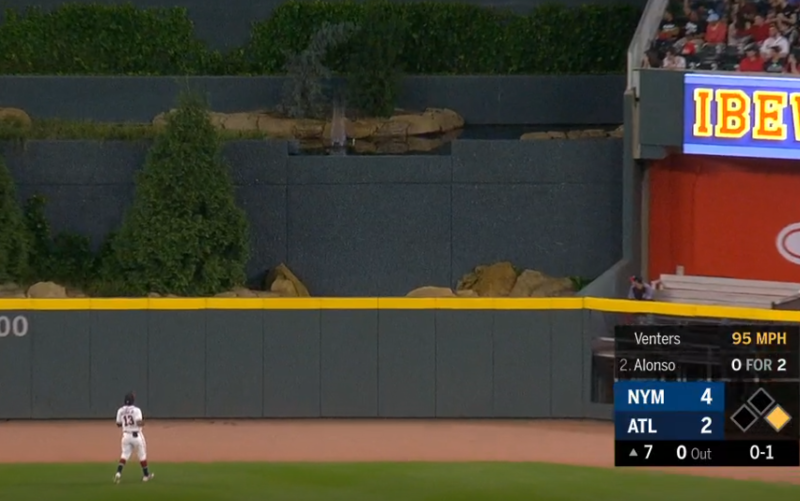 Pete Alonso, it should first be said, really isn’t a great defender. The Mets were quick to let everyone know this throughout 2018, when they didn’t call him up early in the year, when he won Defensive Player of the Month for the Mets’ Triple-A affiliate in July, and when they didn’t make him a September call-up in a completely lost season for the big league club. Seventeen games into his major league career, however, I can say one thing with certainty: I don’t care that he’s supposedly bad at defense. Alonso’s plate appearances are turning into appointment viewing, because he flat-out crushes the ball. I’m not talking garden-variety “boy, that large man can hit,” either. 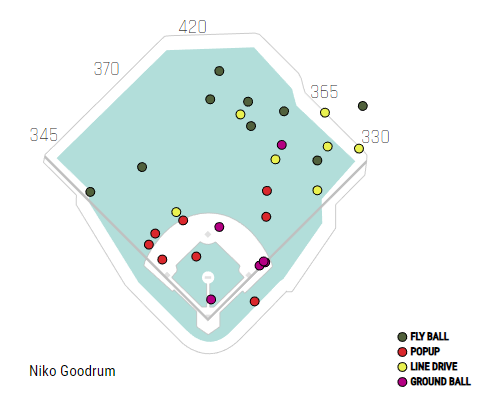 Alonso might not have the best strike-zone recognition, or the best general plate discipline, but when he makes contact, he’s doing damage like almost no one else in baseball. “In the future,” Andy Warhol said, “everybody will be world-famous for fifteen minutes.” Warhol wasn’t really a baseball fan (Pete Rose baseball-card prints aside), but it seems likely that major league baseball consulted with him, or at least took some inspiration. How else can you explain the phenomenon of the pop-up relief pitching ace? Nick Anderson has the lowest FIP (and xFIP) and the highest strikeout rate in baseball this year, and if you aren’t related to him, I bet you had to go look up what team he pitches for. Anderson’s route to the spotlight (such as it is) has been incredibly circuitous. Early legal troubles, including an assault he contends was him coming to the defense of a friend, led to his starting in the independent leagues instead of affiliated ball. Anderson spent a year remodeling homes and playing amateur ball. When he returned, he pitched excellently for the Cedar Rapids Kernels and the Frontier Greys in 2015 (sub-1 ERAs and 9-plus K/9s in both stops). The hometown Twins scooped him up, and you have to think other teams weren’t far behind given the numbers, but still — he was out of baseball, fully out, just five years ago. How crazy is it that we never saw Nick Anderson coming? Well, if you go by his minor league stats, it’s pretty crazy. In three-plus years of pitching (admittedly often at levels he was old for), he compiled a 2.25 ERA (2.35 FIP, 2.37 xFIP) with sterling peripherals — a 32.5% strikeout rate and a measly 6.2% walk rate. Still though, he enjoyed very little prospect shine — he was a reliever at best, and one without much pedigree. Aside from brief mentions as “Others of Note,” he pretty much flew under the radar. Jacob deGrom’s 2018 will go down in history as one of the best pitching seasons of all time. There’s almost no way it couldn’t — pitchers don’t put up sub-two ERAs very often, and they record sub-2 FIPs even less frequently. By those stats alone, deGrom had the seventh-best ERA and eighth-best FIP since integration. Adjust for the run-scoring environment, and he falls all the way to ninth. Simply put, deGrom was sublime in 2018. After a season of such historic magnitude, we’d be crazy to not expect regression. Everything broke so well for deGrom in 2018 that he could pitch every bit as well in 2019 and end up with meaningfully worse results. Indeed, ZiPS and Steamer both projected deGrom’s ERA to increase by essentially a run this season. Despite that, both projected him to put up the second-best ERA and FIP among starters, behind only Chris Sale. When you’re as far ahead of the pack as deGrom, you can significantly regress and still be one of the best. The first week of baseball is a wondrous time to be a baseball fan. It’s also a weird time to be a baseball writer. On one hand, baseball is happening, and that’s a relief after the long dark night of the offseason. On the other hand, not that much baseball has happened, and most of the seemingly noteworthy stories are small-sample noise. Give me an early-season take (Tim Beckham is great! Sandy Alcantara is a top-10 pitcher! ), and I’ll likely dismiss it as a fluke. One performance this week, however, made me sit up and take notice. Corbin Burnes struck out 12 batters on Sunday, and the way he did it should have Brewers fans, and baseball fans in general, salivating. At first glance, Burnes’ start against the Cardinals is a textbook case of not reading too much into a single start. He struck out 12 batters and walked only one, which is obviously incredible. On the other hand, he gave up three home runs and only lasted five innings, producing a what’s-going-on split of a 6.53 FIP and 0.00 xFIP. If I were a betting man, though, I’d wager that the strikeouts are more predictive than the home runs. Why? 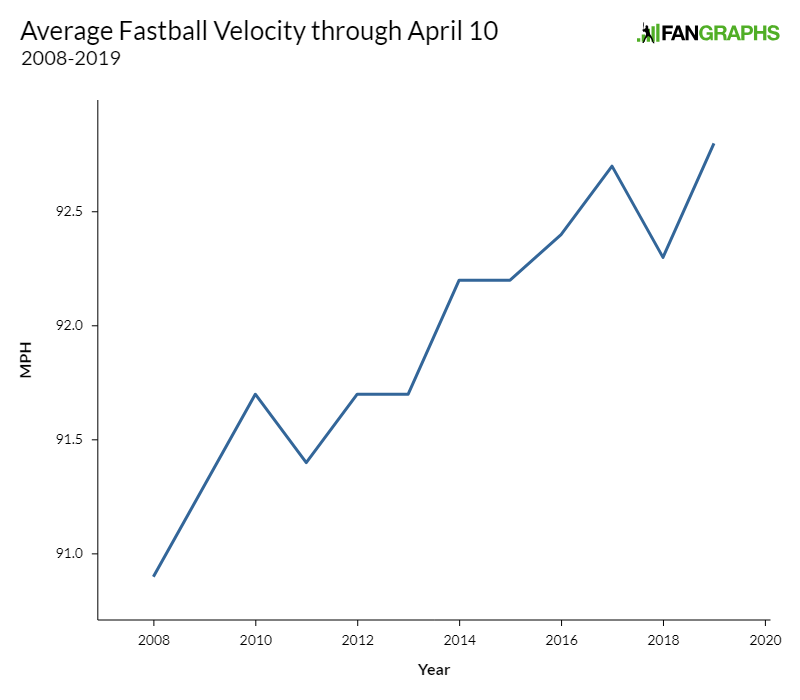 Corbin Burnes’ fastball was absolutely ludicrous, and in a way that you can’t fake. Most of the things that happen in a baseball game are contextual. Did a pitcher strike a lot of hitters out? Well, consider who was batting. If it’s a bunch of high schoolers or the 2019 Giants outfield, that’s an extenuating circumstance. Did he give up a lot of home runs? A ton of factors go into that. One thing that isn’t contextual is a pitch’s spin rate. The batter doesn’t influence it. Pitch selection doesn’t influence it. It doesn’t take long to stabilize. It’s basically as clean as it gets in baseball statistics — you throw the ball, and you get your results. When Burnes threw the ball on Sunday, the results were off the charts. Burnes fired 61 four-seam fastballs on Sunday. His velocity was down a tick or so from last year, when he worked out of the bullpen — nothing unusual about that. His spin, on the other hand, was wholly new. Burnes averaged 2912 rpm, and it’s hard to explain how crazy that is. It was nearly 150 rpm higher than last year’s league leader in average spin rate, Luke Bard. 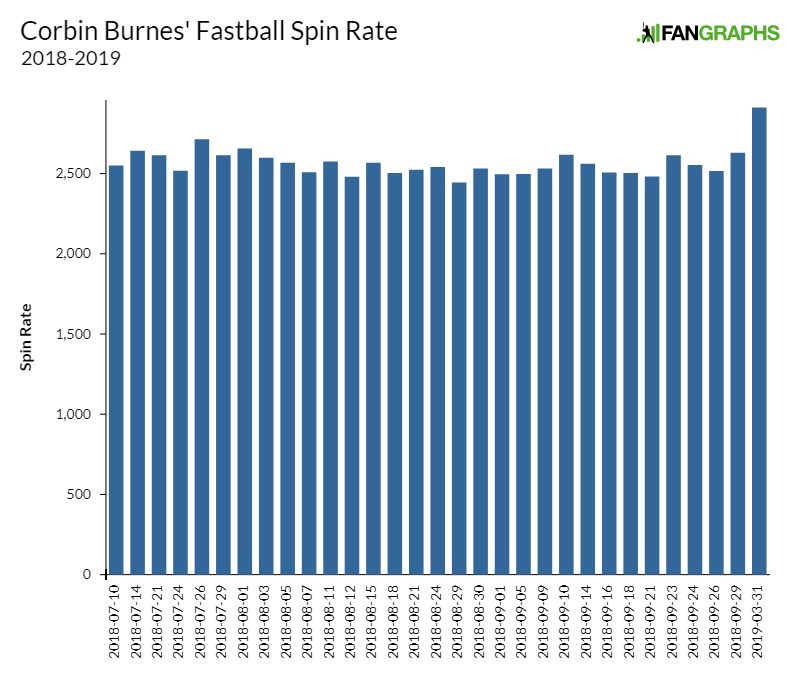 The fastball that Burnes spun most slowly, at 2660 rpm, would have been good for the second-highest fastball spin rate in baseball last year. Here’s something that won’t surprise you. 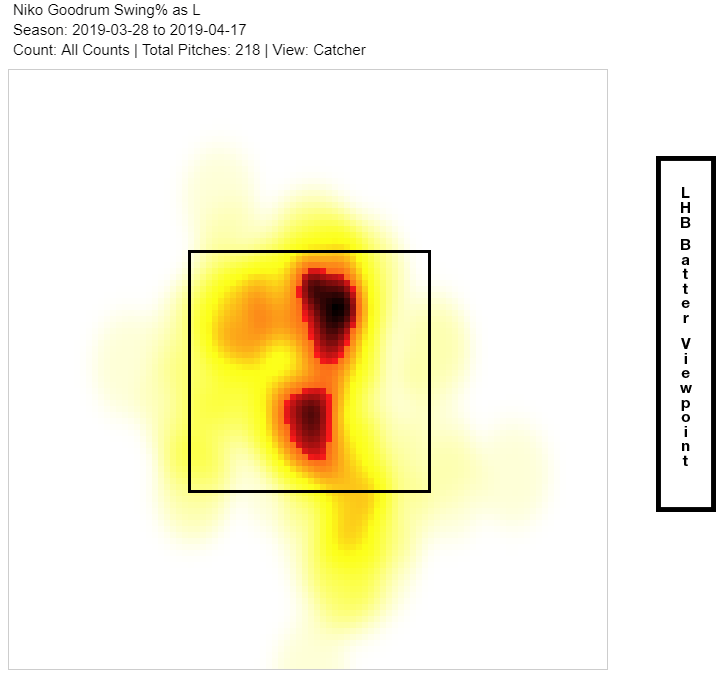 The number one starter in all of baseball last year, when it came to getting batters to chase pitches outside the strike zone, was Patrick Corbin. Of course it was Patrick Corbin! Dude threw 95% sliders last year, and that’s only a little bit of an exaggeration (it was a little over 41%, if you’re intent on checking my math). 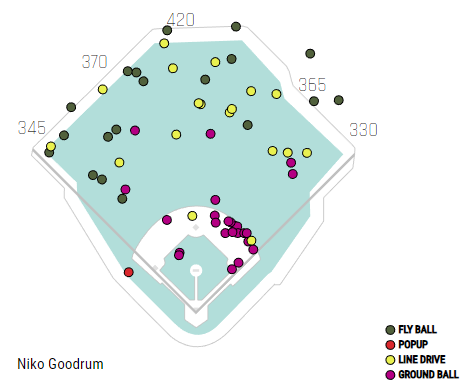 The second guy on the list, a minuscule 0.1% of out-of-zone swing rate behind Corbin, was Jacob deGrom. I mean … yeah. DeGrom had a 1.7 ERA last year and struck out 32% of the batters he faced. People swung at a lot of pitches outside the strike zone. At number three, though, the list takes an unexpected turn. The third-highest chase rate in baseball last year belonged to Miles Mikolas, and it’s hard to think of a pitcher who resembles Corbin and deGrom less than Mikolas does. While the aforementioned duo both had top-10 strikeout rates among qualified starters, Mikolas was in the bottom ten. Corbin and deGrom were exemplars of the new three-true-outcome direction baseball has taken (mostly one true outcome, in their case), while Mikolas had essentially the lowest three true outcome rate in all of baseball. What does it mean to generate a ton of swings outside the strike zone but few strikeouts? As you’ve no doubt heard, we’re living in a golden age for position players pitching. Don’t believe me? Read the copious articles written about it in the past few years. At this point, you know the broad strokes of the genre. You know that position players are pitching a lot more often these days. You know that it’s funny because they’re not that good at pitching, but also funny because they’re not as bad as you’d think. It’s gotten so common, so normal, that less than a week into the 2019 season, we’ve already had a game where position players pitched on both sides. That game had a little bit of everything: John Ryan Murphy was terrible, allowing seven runs in two innings. Russell Martin was perplexingly effective, setting the side down in order in his one inning of work to close out the Dodgers 18-5 win over the Diamondbacks. He was the first full-time position player to close out the ninth inning of a game since 1963. There was one thing missing from that game, though — neither “pitcher” recorded a strikeout, and strikeouts have been, in my opinion, criminally under-reported in all the coverage of position-player pitchers. Those embarrassing-but-not-that-embarrassing pitching lines? They were compiled against real, honest-to-god major league hitters (and also occasionally pitchers pretending to be major league batters). We all know that position players pitch well enough to occasionally get strikeouts, and that’s a pretty great fact. Take a minute, though, to consider this: the pseudo-pitcher’s small triumph is also the batter’s great failure. He just struck out, the most miserable feeling in baseball, and he did it against a guy who’s out there goofing around. In 2018, position-player pitchers struck out 22 batters. On the one hand, that doesn’t sound like a lot, but on the other hand — that’s a lot! Still, though, not all of these strikeouts were created equal. 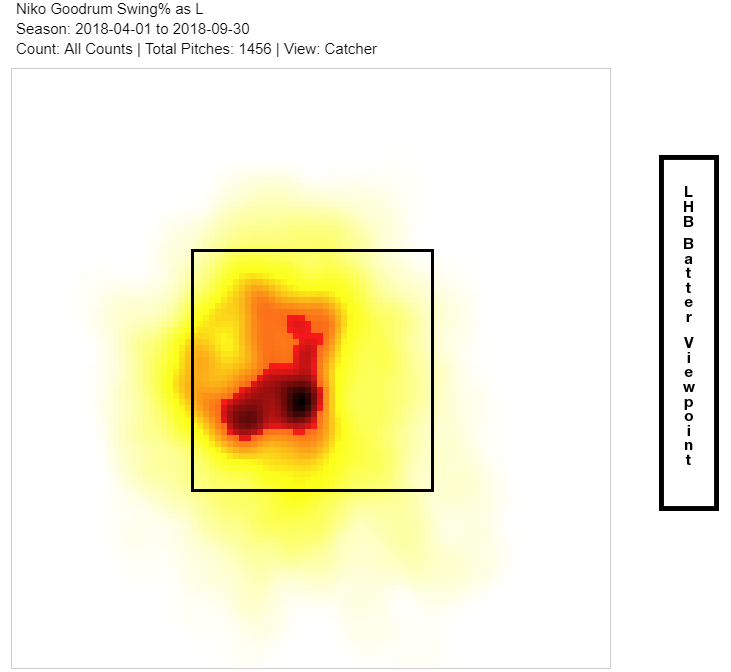 There’s a lot of distance between Gerrit Cole striking out against a utility infielder and Eugenio Suarez going down on strikes against a backup catcher. I wanted to chronicle this, because in a year there might be too many strikeouts for it to be interesting or too few to devote an article to. I sat down and watched all 22 strikeouts and separated them into tiers of embarrassment. These guys might be multi-millionaires. They might be unfathomably strong and coordinated baseball machines, but sometimes they mess up the easiest tasks. They’re just like us. Who couldn’t relate to that?